We supply bathrooms which sell in the quality bathroom market. 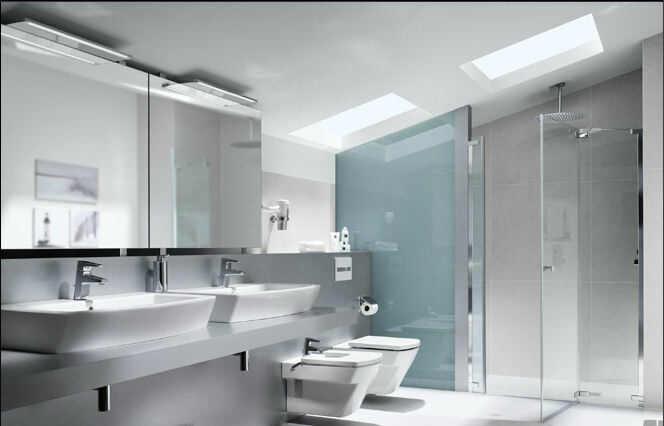 The quality bathroom market has grown extensively in recent years to include an array of quality products, including: Wetrooms, Shower Columns, spacious baths, designer radiators, furniture, risers, overheads, LEDs, infra red, ceramic disks, minimalist bathrooms, triple valves, stone baths, copper baths, designer basins, toilets, towel rails, heated towel rails, bidet mixers, spouts, body jets, wireless controlled showers, and much more. At Merrows we sell a range of high quality fittings, including: Dornbracht, Bette, Kaldewei, Bossini, Rudge, Barwil, Catch and Rye, Damixa, Zucchetti, Roca, Duravit, Geberit, Hansa, Grohe, Ideal Standard, Jado, Keuco, JOOP, Laufen, Vasco, HIB, Villeroy and Boch, Aeon, Bristan, Steinberg, Catalano, Clearwater, Gessi, Inova, Veiga, Zamori, Cleargreen, Elements, Trevi, MHS, Deva, Crosswater, Aqualisa, Mira, Stuart Turner, Salamander, Adamsez, Aquaplus, BC Designs, Carron, Cifal, Ellis, Dudley Thomas, Galassia, Eurobath, Hansgrohe, Hollys, Image, Just Taps, Lakes, Marflow, No Code, Qualitex, Ramon Soler, Royce Morgan, Roscoe, Sanindusa, Showerlux, Roman, and more. A list of our manufacturers. You can order via Merrows for these goods.